Here is a checklist to lower your cardiac risk. A healthy weight and a physically active life will get you most of the way there. 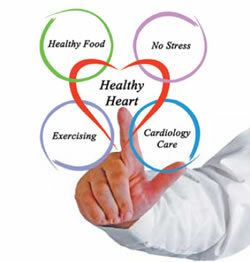 As men age, cardiovascular health becomes a higher priority. But for all the recent media frenzy about who should be on cholesterol-lowering statin drugs and the continuing obsession with popping fish oil capsules, checking the box on two fundamental lifestyle issues will get you most of the way there.